In the faculties of Civil Engineering, Electrical Engineering and Information Technology, Informatics, Mechanical and Industrial Engineering, Mathematics and Geo-information, Physics and Technical Chemistry at TU Vienna, a number of areas of Biomedical Engineering are covered with success. Both in research and in teaching. The appropriate teaching skills are integrated in the interdepartmental master programme Biomedical Engineering. The detailed curriculum can be found here: Curriculum. 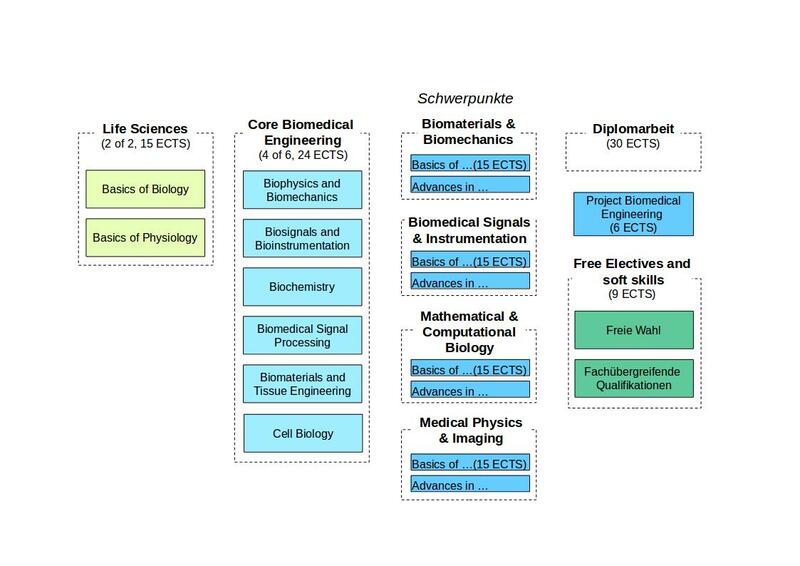 The curriculum of Biomedical Engineering and further information about the courses can be found on the website of TU Vienna’s Information Systems and Services (TISS).